Just about every woman wishes to have an unconventional and exquisite look. In our humble opinion, whenever you mean to revamp your wardrobe a bit, the way to go is to pick a couple of tops which will swiftly transform your perhaps bland outfits. 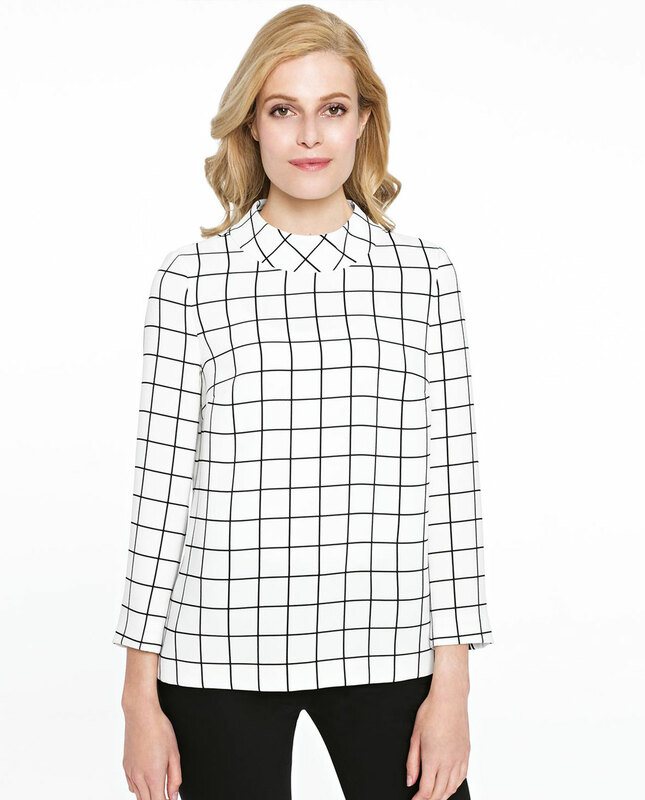 TAGO is one of these tops which are definitely original: its design features geometric minimalist motifs, and the proposed combination of monochrome prints and simple form is a truly feminine vintage option. This top in sturdy fabric which retains its shape during the day. The blend of polyester and viscose feels very pleasant to the touch and presents no sacrifice to your sense of comfort. Stand-up collar is a nicety which draws attention to your neck and upper body parts. Held together with a covered zip at the back. The print will help to smooth your silhouette a bit and introduce some symmetry. What to match it with? TAGO is distinguished by its versatility: it plays nicely with jeans as well as cigarette trousers or pencil skirt. We suggest you go for classic look when creating a set for work: TAGO combined with black slim-fitting trousers will make for a genuinely vintage outfit. Or else feel free to spice it up a bit choosing trousers in intense colours: you are sure to look unconventional and dashing.